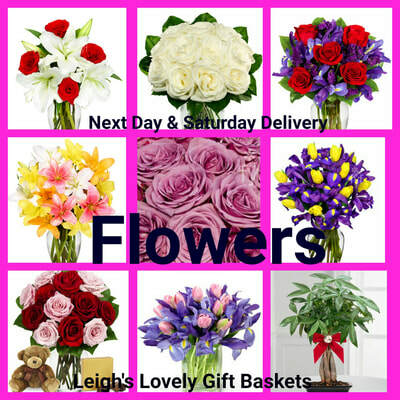 La Bella Baskets Fresh Flowers Last For Weeks! The " Delightfully Yours" Bouquet as shown in my online store is shown below and can be ordered by clicking on the bouquet photo. 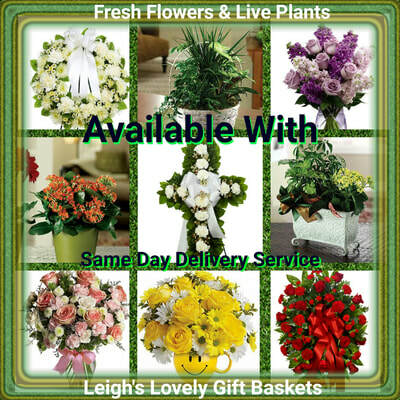 Fresh Flowers are delivered to Leigh on Saturday, May 18, around 10 am EST. 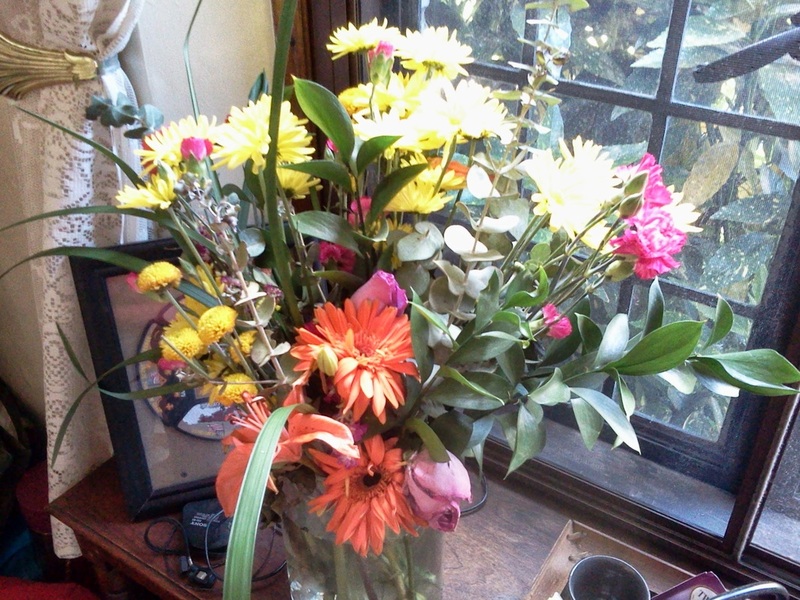 The flowers were unwrapped ,vases were filled with cool tap water,mixed with the included "flower fresh" packet. 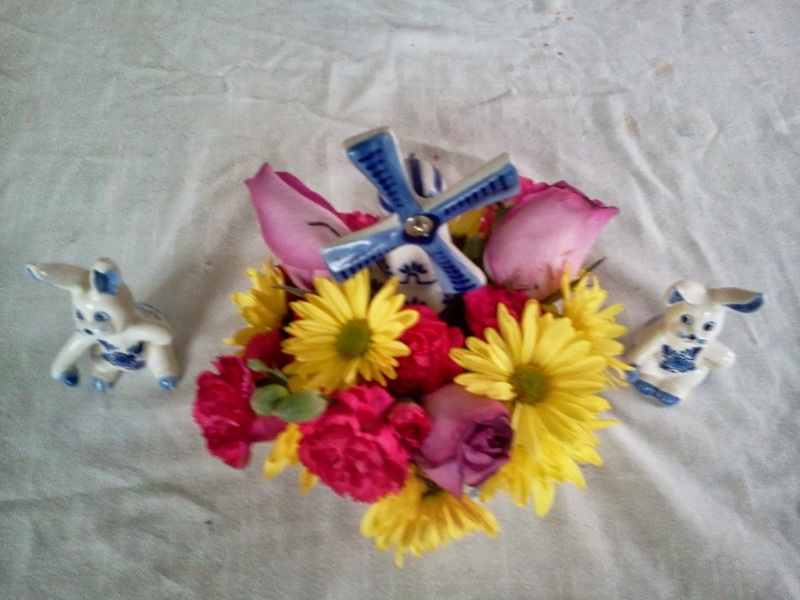 I carefully cut approximately one inch off stem to allow water to penetrate,.Since La Bella Baskets flowers are shipped "pre-bloomed" I thought this to be the best way to keep them until Tuesday. 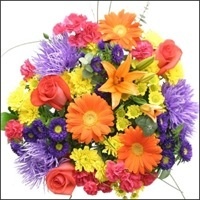 Two hours before the wedding ceremony, the three bouquets were cut and arranged. 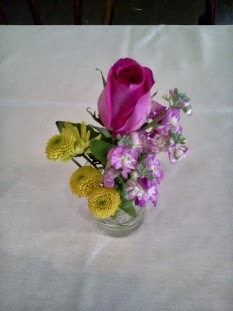 Some of the stems were reserved whole for this arrangement,placed on the gift table. 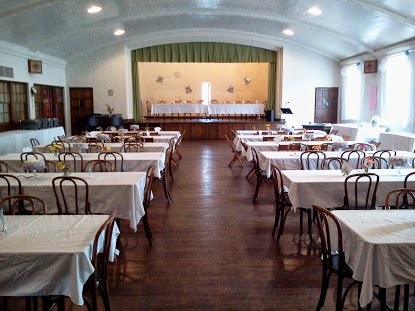 The three "Delightfully Yours" Bouquets are cut into stems, arranged into small drinking glasses, and placed on the guest and Head tables, two per table. 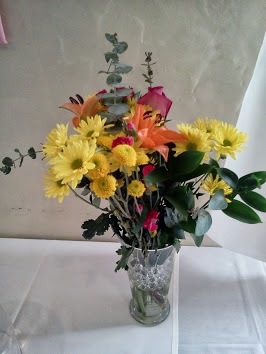 A handful of freshly cut stems from the three large bouquets are arranged in small drinking glasses with aqua gel beads and a small amount of water. 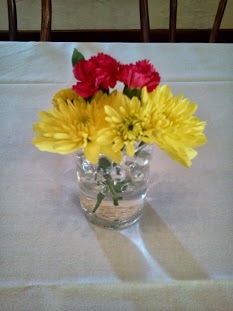 Two glasses per table provided a light touch of color for a mid- Spring evening wedding reception. 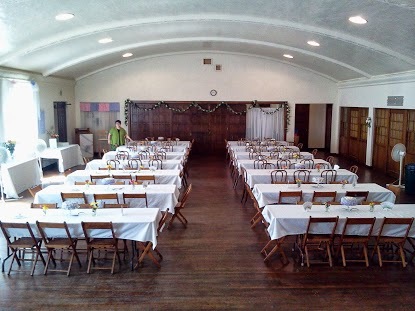 The aqua gel beads proved to be both an excellent arranging tool to support the cut stems in an upright position within each small drinking glass, and an excellent way to hydrate the freshly cut blossoms on a hot May afternoon with only the aid of fans and open windows. 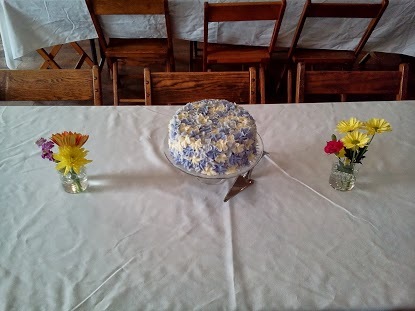 Since only three stems per glass were desired, the extra flowers ( calculated for extra) were left uncut and arranged into a large glass vase to adorn the gift table. 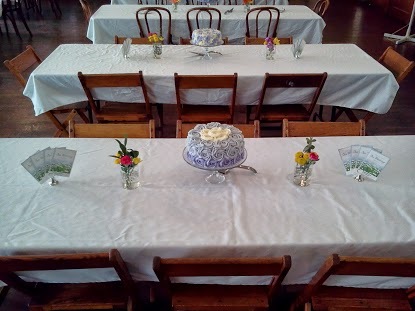 A big thank you to my capable assistant, and future daughter-in-law, Liz for her help in arranging the flowers on the tables for me while I was preparing a special meal for the Bride and Groom. 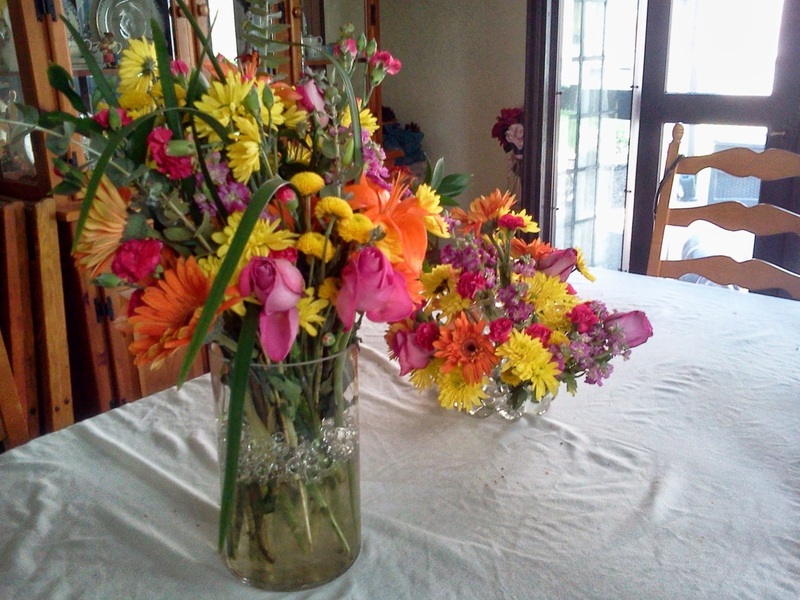 The day after the wedding, I brought the flowers to my house and displayed them on my dining room table.They are still looking very nice! 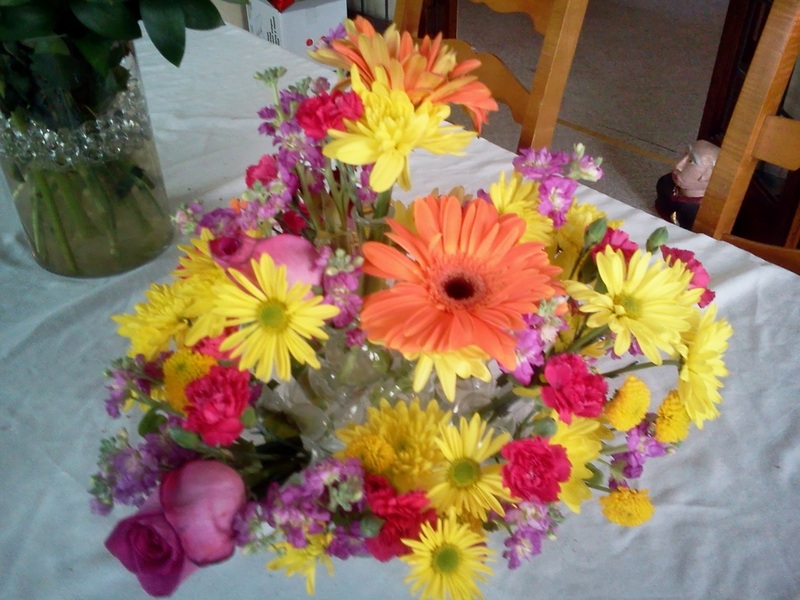 Liz arranged these cut blossoms into a glass arrangement centerpiece. Each stem has it's own vial of water. 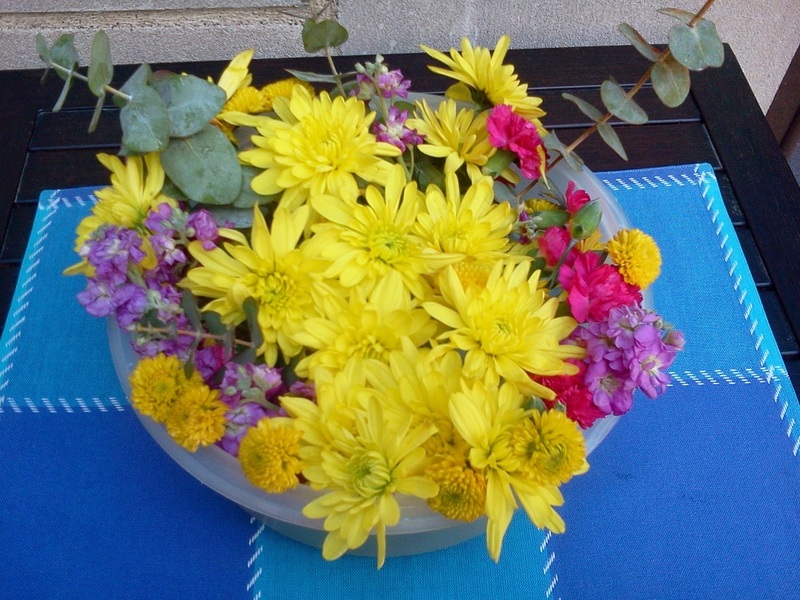 I arranged the remaining cut blossoms into a large, plastic bowl for an outdoor arrangement to be displayed on my back patio table. I cleaned out the vase, rinsed the aqua gel beads, and trimmed an inch off the bottom of each stem. 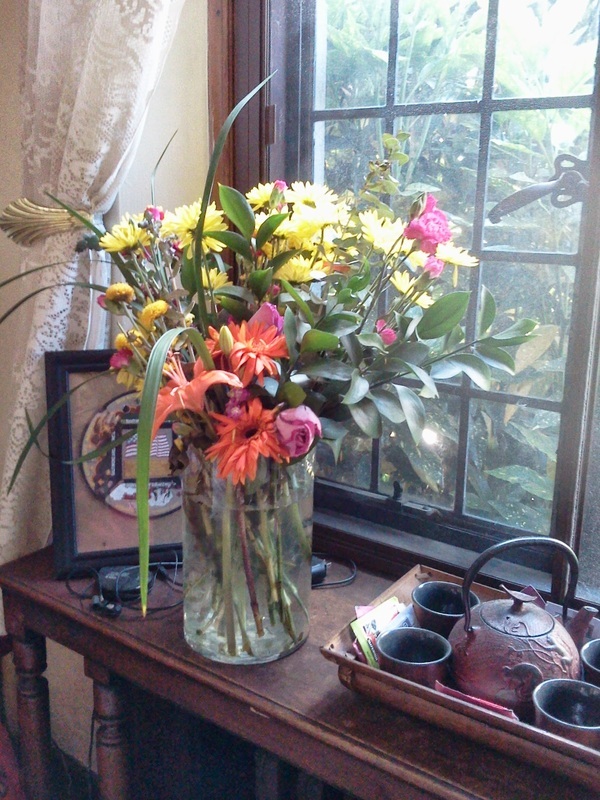 Another view of the same vase displayed on my window sill. I arranged the best looking cut blossoms from the plastic bowl into this smaller windmill dish with more water and rinsed aqua gel beads. 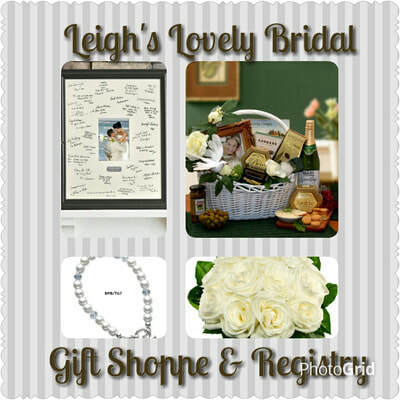 Leigh for making such a memorable event all the more special "